Thinking of a new laptop, Mac or mobile this Christmas? 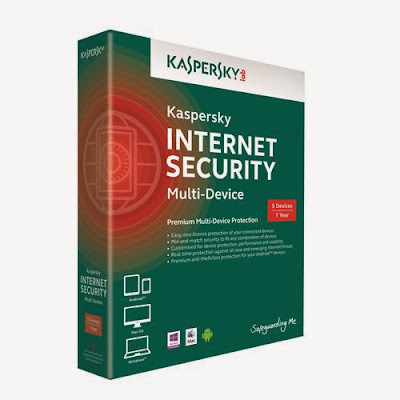 Kaspersky will help to ensure you and your family are kept safe while online all year round. This great security solution helps to protect all of your devices from malware infections, cybercrime and phishing - it's definitely worth having to keep your personal data, personal. This multi-device version will protect up to 5 of your devices which includes PCs, Macs, Android phones and tablets. It is easy to install and you can even move your security from one device to another throughout your licence period. For your chance to win Kaspersky Internet security you can enter via the Rafflecopter entry form below. Shopping, banking, browsing, researching, everything! 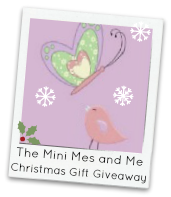 Reading blogs and entering giveaways, shopping, communicating and reading magazines, the news, and loads of other things! What would I do without it!? Liked, shared & followed on facebook. I use the internet for shopping, reading blogs, research, water, electric and gas accounts.... and loads more. Commented on 'Watch, Bake, Create Owls- Chocolate Owl Cupcakes'. Shopping, reading articles, studying, entering competitions, looking for coupons and checking emails. I love the internet! Browsing, keeping in touch, the odd game. Following on GFC, Bloglovin, email. Internet shopping, emails, facebook and reading blogs! Daily email checking & normal browsing. I'm a compaholic and spend most of my time online entering competitions, reading wonderful blogs and playing games! I use the internet for EVERYTHING! I think I'm now following via all ways either as Hazel or Hilda Wright! Everything. I'm quite disturbed to say that I probably couldn't live without it! Social Networking, shopping & entering competitions. i enter lots of competitions on the internet; hopefully i will win this one! Everything- reading blogs, entering competitions, shopping, bank, eBay, Facebook, Twitter, college/university! I use the internet to educate the children about what REAL cartoons are! everything - I don't know how I managed without it! Shopping, rading the news, keeping up with friends - its a huge lifeline! Everything. Social Media, shopping, reading the news, looking up info. Loads of things. I just commented on "Hatton Farm Village "
Commented on another blog post. Hi, I just commented on "London - Disney on Ice and the Natural History Museum"
everything! If in doubt go to the internet! browsing, shopping, email, games, apps, watching tv programmes/movies, work. Surprising really how much my life revolves around/depends on the internet! I use Mcafee at the moment, as I rely heavily on the net as I am often housebound. Anything and everything! Mostly work! Commented on Slow Cooked Chicken, Bacon and Potato Casserole. Everything! I'm probably on the internet for at least 12 hours a day! !